Heavy rain accompanied by thunder and lightning lashed Maharashtra's Mumbai city on Monday night, causing water-logging and disruption of local train services. 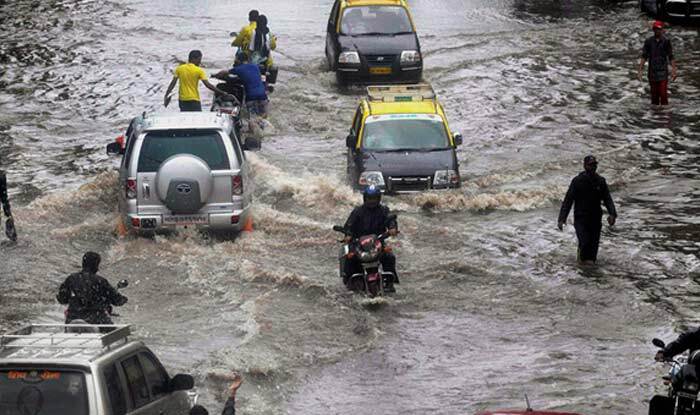 Mumbai: Heavy rain accompanied by thunder and lightning lashed Maharashtra's Mumbai city on Monday night, causing water-logging and disruption of local train services. Water-logging has been reported in several areas including Malabar Hill and Hindmata, Dharavi, Byculla, Dadar TT, Kabutarkhana at Dadar, King Circle, Nagpada, Santacruz (East) and Marol Maroshi. According to media reports, services of local trains have also been affected on the Central line running 15 to 20 minutes late and 20 to 25 minutes on Western line.